The Bridi Killer Bee is a 1/4 scale size I.M.A.A. legal pattern plane. Strong, light-weight construction of excellent balsa and plywood parts that are machine cut and sanded for accuracy. Easy construction and great flying capabilities. Large clear canopy, molded wheel pants and cowl. 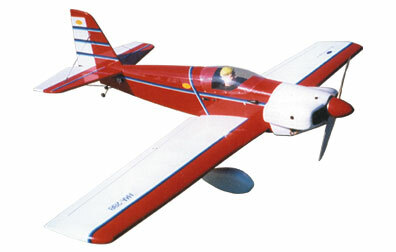 Excellent sport, pattern and competition aircraft. *Orders outside the contiguous US, Contact Us for Shipping Quote.